Kidneys are like the cleaning staff of your body. Their job is to process all the waste and send it out of the body from the bladder in the form of urine. 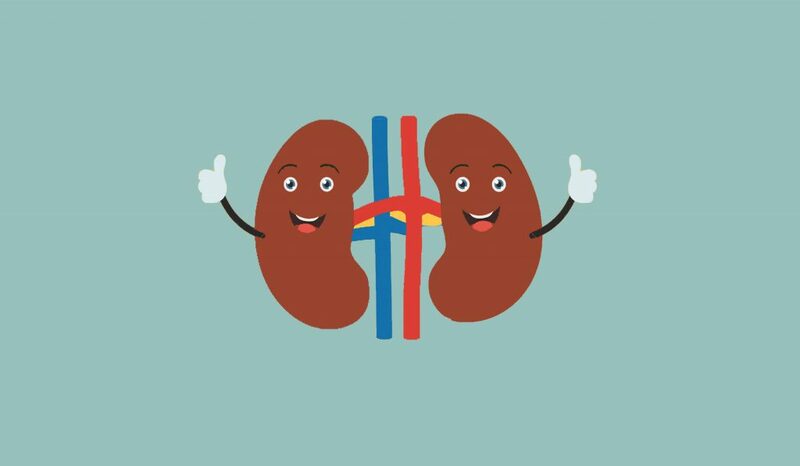 Thankfully, all of us are blessed with two kidneys and in case there is a problem in the functioning of one, the other one can do the work for both. However, if for some reason both the kidneys become nonfunctional, the toxic waste doesn’t get out of the body and can prove fatal for the person. Hence, it is essential that we do our part in protecting these vital organs and maintaining healthy kidneys. 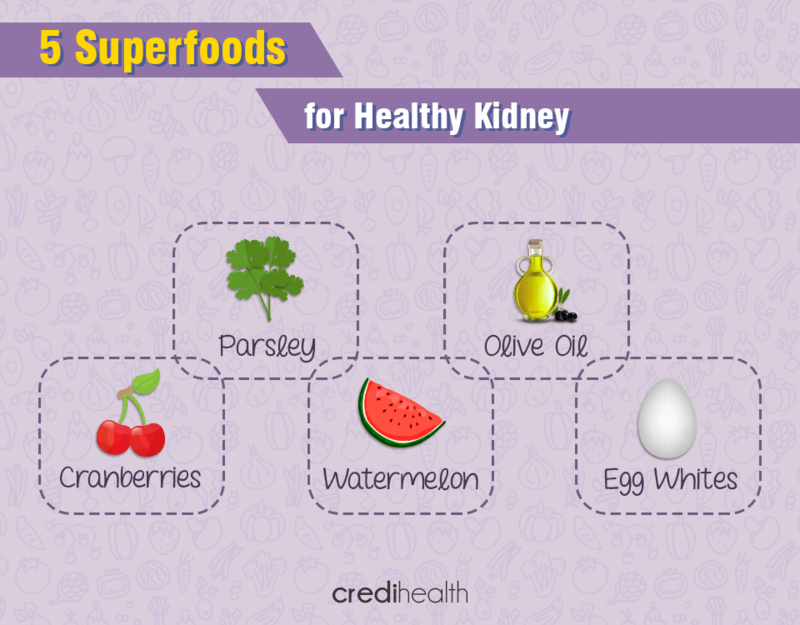 Here are top 5 foods to eat regularly for healthy kidneys. While most people are aware that consuming cranberry juice when infected with a UTI (urinary tract infection) is highly beneficial; surprisingly, many people are oblivious to all the great things it does for one’s kidney; despite the relationship between the two. Cranberry juice makes one’s urine more acidic and hence, prevents the spreading of infection. In addition to that they contain no fat or sodium, and are a rich source of fiber and vitamin C.
Inexpensive and easy to cook, eggs are one of the best sources of proteins. While the egg yolk is high in cholesterol and phosphorus, egg white is free of all these and contains about 5 grams of protein. Apart from being good at boosting immunity, egg whites can do wonders for maintaining healthy kidneys and are often recommended to patients with chronic kidney diseases. Low in sodium, potassium and phosphorus, olive oil is ideal for everyone. Rich in polyphenols and antioxidant compounds, it is excellent for cooking, being used as salad dressing and marinating bread etc. Research also suggests that regular use of olive oil is good for people with osteoporosis, cancer, in addition to being great from the endocrine system. Apart from these amazing benefits for the kidneys, olive oil is also good for cardiovascular and digestive health. One of the common problems faced by people with poor kidney health is high blood pressure, which further worsens the condition of the kidneys. Watermelon, being a natural diuretic, cleanses the organs and regularly eating the fruit benefits the organs in the long term. Watermelon is not advisable for diabetes patients because of the high sugar content. It is also very high in potassium, and should not be given to those with advanced kidney diseases. Parsley is a rich source of vitamins, minerals, chlorophyll, antioxidants, enzymes and other oils. It is extremely beneficial for kidney detoxification and cleansing. It can be consumed in liquid form, coupled with other detoxing juices like watermelon and lemon or as a smoothie. Like watermelon, parsley is also a natural diuretic and aids the cleaning process of kidneys.